April Video Vault: Are you ready to Ronde? April’s Video Vault contains an inspirational Bauke Mollema, Cannondale shenanigans that don’t include bum-pinching, a look at the new maillot jaune, and Kitty’s beloved Fabian along with Imitation Fabian, just to name a few! If you have a video you think should be included in our monthly round-ups, tweet a link to @kiss_my_panache. Enjoy the show! More like a slide show, this video shows the wonderful work of one of my photographic heroes, Emily Maye. The first part of the season for my three superstars was successful in all kinds of ways: Spartacus vanquished all in his path, That Boy Phinney stole everyone’s hearts, and Purito may have found the key to derailing the Sky-train in May. WorldTour ranking: 1st, 351 pts. 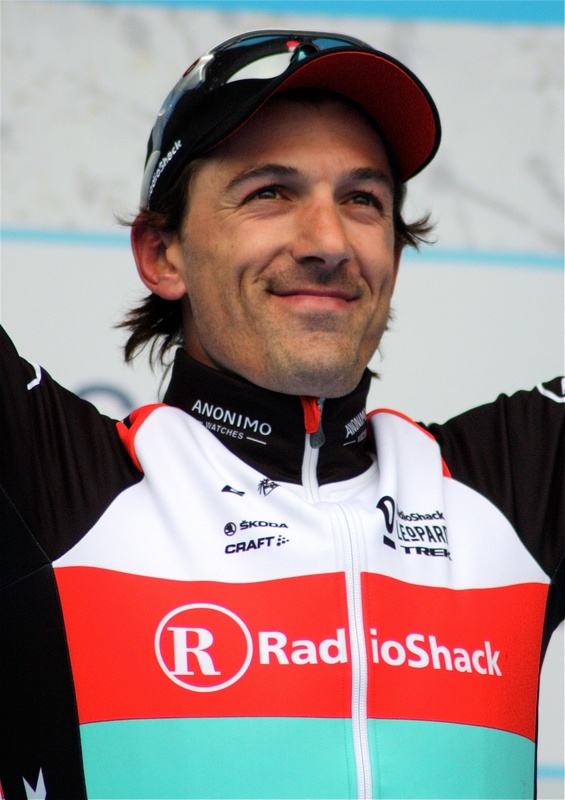 After Cancellara’s year of #unluck last year, he has taken this season by the scruff of the neck and shaken some impressive victories out of it. He started the year in the desert races, took fourth in Strade Bianche after being marked out of contention, made the last podium step in a treacherous Milan-San Remo, then hit his stride in the bitter cold of Belgium and northern France. He took E3 Harelbeke by attacking on the Kwaremont and leaving the rest of the field in his jet vapours while he soloed 35km to the finish. On Easter Sunday, he was finally able to use his team to keep the pressure on during the Ronde van Vlaanderen until he picked his moment to attack his nemesis Peter Sagan on the Paterberg and rode solo 15km for the win. Then as overwhelming favourite and with the echo of ‘one-trick pony’ in his ears perhaps, he rode a subtle and cunning Paris-Roubaix, bluffing about his form before he caught all the breaks and came into the velodrome with just one rival, Sep Vanmarcke. He’s learned patience as he played the perfect tactics by forcing Vanmarcke into the weaker position, then took the win in a sprint. Yes, a sprint. Spartacus is back and at the moment sitting in the number one spot in the WorldTour rankings. 3rd overall, best young rider and won the team time trial at Tour of Qatar. WorldTour ranking: 45th, 30 pts. Taylor Phinney’s results on paper don’t have any bearing on the results he’s achieved with fans during this season so far. A gargantuan talent who hasn’t quite hit his stride yet, Phinney has nonetheless been the talking point of races that he has come nowhere near winning. A case in point was his DNF in stage 6 of Tirreno-Adriatico – a brutal stage that Phinney ended up finishing alone and outside the cut-off time. But it was his tweets about why he finished that stole the stage’s story. During Milan-SanRemo he was pictured with an ice-covered helmet, was thought (wrongly) to have abandoned, then came out of seemingly nowhere to take an impressive seventh in another brutal race. 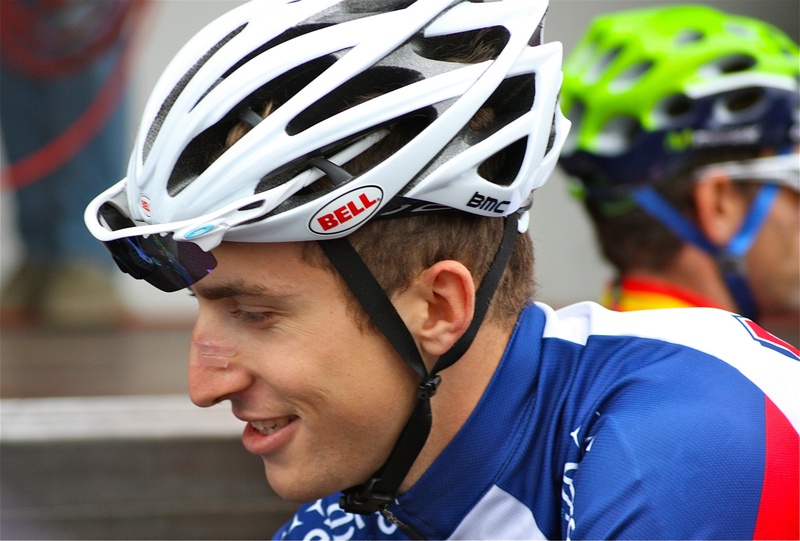 Citing a knee injury, he opted out of the Ronde to start Paris-Roubaix fresh and, although he was tipped as a favourite to win and led the charge through the Forest of Arenberg, he said himself that he had gotten “too excited” and couldn’t sustain the effort, to place 23rd. Last year’s Giro is where Phinney really started to shine and here’s hoping he’s back in the pink in May. 4th overall and won one stage at Tour of Oman. 5th overall and won one stage at Tirreno-Adriatico. 2nd overall and one 2nd place at Volta a Catalunya. WorldTour ranking: 5th, 144 pts. 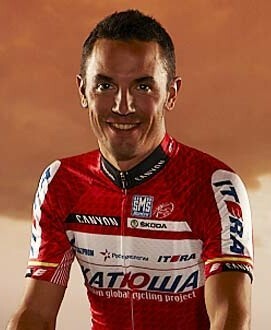 After the UCI’s climb-down on the licence row with Katusha, Purito could concentrate on his season and he started with a fourth overall in the Tour of Oman, after an impressive stage four victory over a stellar field of race-ready contenders, including Chris Froome, Alberto Contador and Alejandro Valverde. Placing fifth overall in Tirreno-Adriatico, including winning stage five, he then went on to take the second podium spot in the Volta a Catalunya, which could be significant in that one of the main GC contenders for next month’s Giro, Bradley Wiggins, was also in this race and placed fifth. Purito will certainly want to take the maglia rosa this year, after losing it in the final time trial last year by a handful of seconds. His explosive climbing and attacking style should stand him in good stead against the metronomic Sky train. I’m keeping an eye on three riders at different stages in their careers. 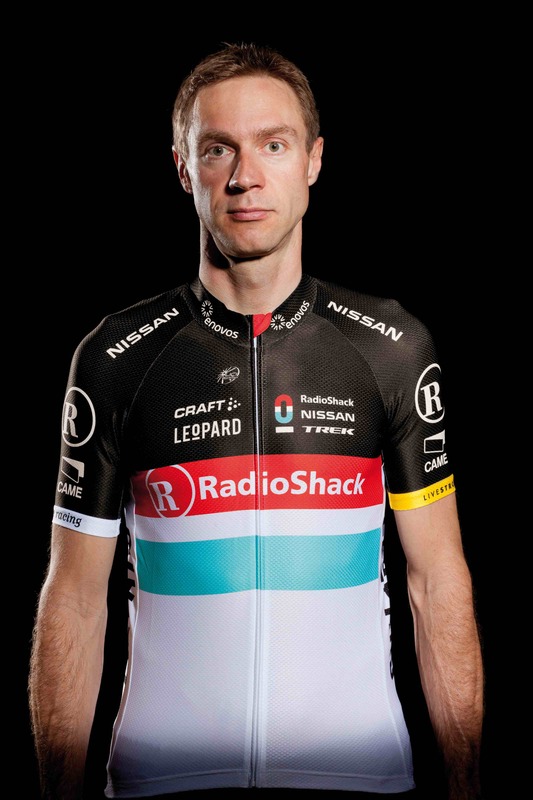 Firstly there’s the mighty Jens Voigt in what will quite probably be his final season. 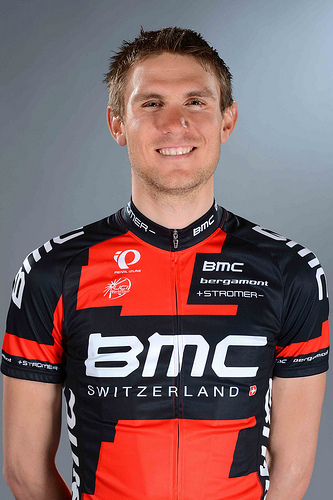 I’m also following young Tejay van Garderen after he single-handedly salvaged my Fantasy Tour de France team last year. The final member of my triumvirate is Adam Hansen, who specialises in Twitter and lead-outs, not necessarily in that order. Pain, suffering and torture in various races. Jens set his stall out early on this year. Well, more to the point, he picked up where he left off. “This morning already it crossed my mind that I might as well do something stupid,” he said, explaining his strategy on the opening day of his season. The People’s Choice Classic in Adelaide had covered five metres – yes, five metres – before Jens attacked, and he stayed away for 21 of the 30 laps of the race circuit. That’s been pretty much the shape of Jens’ season to date, and although he hasn’t picked up a win as yet, I’d like to think that there will be a race where his attack will stick and he will get another glorious win to add to his palmares. He told our own Sheree that his legs don’t listen quite so much these days when he tells them to shut up, but on current showing it’s still Jens who has the final say. 2nd overall at Tour San Luis. 3rd overall and won young rider classification at Criterium International. WorldTour ranking: 26th, 62 pts. Tejay has started the season quite well, using his time-trialling strength to good effect and holding his own on hillier terrain to cement solid GC places in Paris-Nice, Tour de San Luis, and the Criterium International. In the latter, he was actually the highest placed non-Sky rider, which is almost a ‘best-in-class’ finish! In all seriousness, it was probably the strength in depth of Sky that put paid to his chances of the overall win. He seems to be playing it relatively steady so far, claiming not to have had any major objectives in the races that he’s contested to date. As much as that’s easy to claim, it suggests that he has bigger objectives and on this showing Tejay should find himself in with a decent shout of a high GC placing in the upcoming Tour of California before tackling the Tour de France. 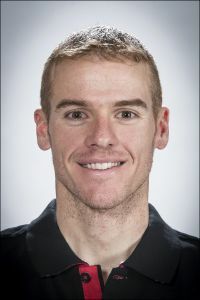 He’ll be the team leader in California, but his prospects in July will depend on how much support he gets from a team that will also contain Cadel Evans, who is riding the Giro as part of his preparation for the Tour. I said at the outset that the best measure of Adam Hansen’s performances would be the results picked up by Lotto Belisol, in particular by Andre Greipel, and the early signs were very good. Greipel won three stages in the Tour Down Under as Lotto dominated the sprints, largely thanks to strong work by Hansen, amongst others. However, following that up has proven tricky and the results have been less encouraging since Oz, littered with misfiring lead-outs and generally underwhelming performances. I’m expecting bigger things from Adam and from Lotto in the coming months though, and bearing in mind he’s planning to hit all three Grand Tours, there are plenty of miles left to race for the big man.